See a size comparison with a model from the front and back. These cloth bracelets are handmade by the indigenous peoples of Ecuador. The can be customized with a variety of different colors and words. 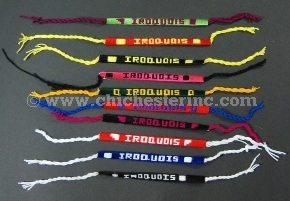 The bracelets are approximately 5" long, 13.5" long with the fringe, and 0.5" wide. Please call us if you are interested in customizing the names on these wristbands. The maximum number of characters is 10 including spaces. 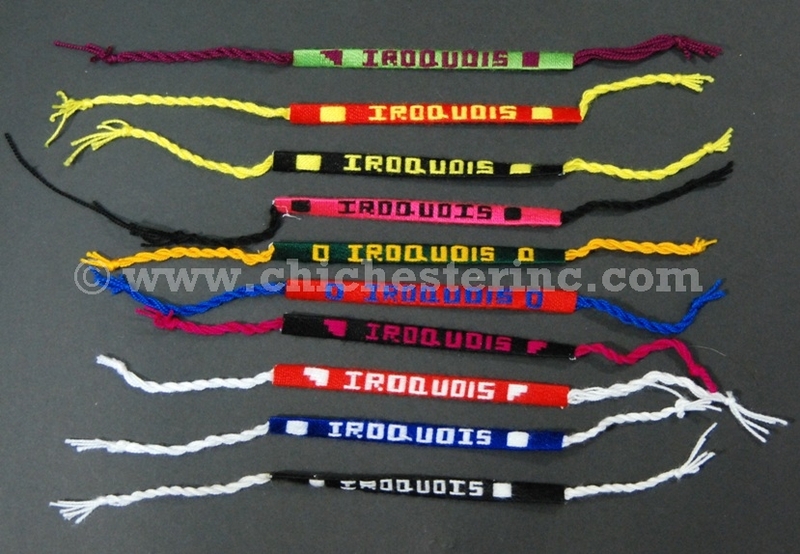 The minimum order is 108 wristbands and the lead time is 8 to 12 weeks.